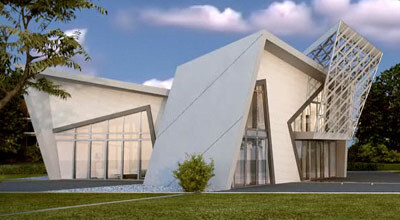 Libeskind Villa Written on September 29, 2009, by Ingeborg. On 29/9/2009 I witnessed Daniel Libeskind open a new villa of his own hand. It’s the first of a limited edition of 30 villa’s to be build all over the world. Regional exclusivity will be granted if you buy this villa made in zink. You will also keep yourself from the stress of building your own home, since the Libeskind will be delivered as you’ve seen it and fully furnished. Art or architecture? Read more from the House category. Stay up to date via RSS , or Trackback from your site.